Posted on January 21, 2019 at 12:24 pm. Have you wondered how hair stylist classes differ from other classes you’ve taken? You probably expect to learn how to cut hair, but you need to know more than how to shape a bob. Here’s a little breakdown of some of the classes and what you could expect when you start a cosmetology program. Classes involve book-learning in a traditional classroom setting as well as practical lessons. You’ll learn to cut and style hair on mannequins and then on real people in a salon setting. Class sizes are closely monitored to facilitate quality instruction. Your classes will never be more than 20 students. We cap the number so the instructors can give every student the attention they deserve. Like anything worth doing, it’s not always easy—but it can always be rewarding. To finish your cosmetology program, you’ll need to complete all the curriculum. Coursework is graded on a 10-point grading scale. To graduate, you’ll need to maintain a 2.0 average and never get a grade below a C.
As you might guess, hair stylist classes teach about hair, as well as the products that clean and nourish it. And you’ll definitely need to learn how to cut and style it! These courses lay the foundation for your practical cosmetology knowledge. To do hair, you often need electricity and chemicals. So it helps to know the basics of these principles, as well as a little more about the human body. You might get high school flashbacks, but it’s essential knowledge for your future career. In addition to becoming proficient in hair, you should become a well rounded cosmetology professional. 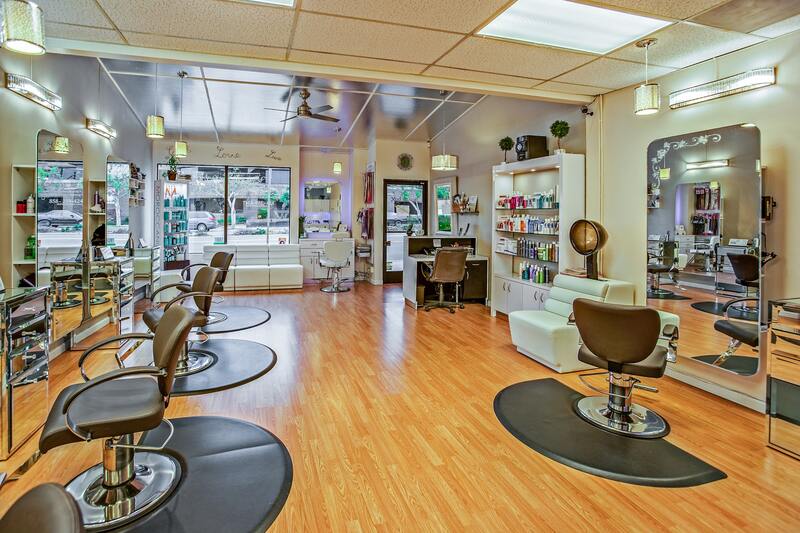 The salon or spa you might one day work in could offer other services in addition to hair. Mastering a few skin, nail, and massage techniques can make you a more valuable employee. Coloring, retexturing, braiding, and wigs—you need to be prepared for anything! These courses add to your cutting and styling knowledge. After you complete school, you’ll have to take the Louisiana State Board of Cosmetology practical exam. No school can ever guarantee you’ll pass—you’re the one who needs to pass it! But Avery James does give you plenty of opportunities to prepares. These courses review all the skills you’ve learned so far and how to apply them in the exam. Ready to start taking some hairstylist classes for yourself? You can see more detailed descriptions of all of these classes in our course catalog. We’re here in Lake Charles on Ryan Street. Call us at (337) 477-9265 or contact us online with any questions or to start your application process.